Numerous elements and minerals are present in our drinking water. Some occur naturally. Others enter or leach into the water on the journey from utility to faucet. Some of these elements are linked to emotional issues; most notably, lead. Why is lead in pipes at all? The answer goes back literally thousands of years to the first plumbing systems, which are names for the word “lead” in Latin,plumbum. Lead piping was used because of its unique ability to resist pinhole leaks, while being soft enough to form into shapes that deliver water most efficiently. Lead was used in many other common products as well until scientific advancements in the 20th century demonstrated the element’s toxicity. The plumbing industry voluntarily took significant steps to reduce lead exposure. Lead is a common element found in the Earth’s crust. The U.S. Environmental Protection Agency (EPA) reports that lead is the fifth most important metal in the U.S. economy in terms of consumption. Approximately 85 percent of the primary lead is produced domestically. Lead is mined and/or smelted in the following states: Missouri, Colorado, Idaho, Utah, Montana and Texas. Many faucets sold in the U.S. and around the world are made from brass, a mix of copper, zinc and a minute amount of lead. Lead seals microscopic cracks that occur between the copper and zinc crystals as they cool, and provides the malleability for brass to be forged and converted into the machined components that are vital parts of every faucet. In 2006, the American Waterworks Association Research Foundation (AWWARF) concluded that faucet lead levels in the U.S. leach less than 2 parts per billion, far below the allowable 11 parts per billion. In recent years, a number of brass alloys have largely replaced the lead in faucets. These materials include bismuth, silicon, selenium, and phosphorous, all of which provide different material properties, depending on the amount used and method of processing. While none yet effectively duplicates the performance of leaded brass, several types have been employed by some plumbing fitting manufacturers for certain applications. Pertinent plumbing fixtures include kitchen faucets, bathroom faucets and drinking water fountains. PMI member companies have invested significantly in order to develop and manufacture products in compliance with lead-in-plumbing laws, to have those products certified, and to provide consumers with products that work and meet the needs of the consumer. The EPA has issued an online guide on certification markings for lead-free products. “How to Identify Lead-Free Certification Marks for Drinking Water System & Plumbing Materials” includes a summary of the law, its implementation, and a guide for identification of products that are certified as lead-free to the NSF 372 standard and California AB 1953. It is essential to the nation’s health that lead piping systems be upgraded, a task estimated by the EPA in 2003 to cost $276.8 billion and take more than 20 years achieve. In the meantime, the best protection for the U.S. public is the ongoing testing and monitoring of what makes up our drinking water. The amount of lead and other minerals that actually leach into the water is far more critical than how much is used to manufacture the products that come in contact with the drinking water. The EPA allows faucets to be sold in the U.S. that do not leach more than 11 parts per billion of the lead into water during a 19-day test. That is comparable to a teaspoon of water in an Olympic-sized pool. The EPA’s criteria is in accordance with the Safe Drinking Water Act (SDWA), taking into account the extremes of potable water chemistry that interact with the pipes and faucets across the U.S. Contrary to some erroneous claims, faucets do not increase the amount of minerals that are leached over time. In fact, the amount decreases over time. Your home plumbing could pay a big price if your house isn’t prepared for winter. Learn how to save cash and keep pipes from freezing. 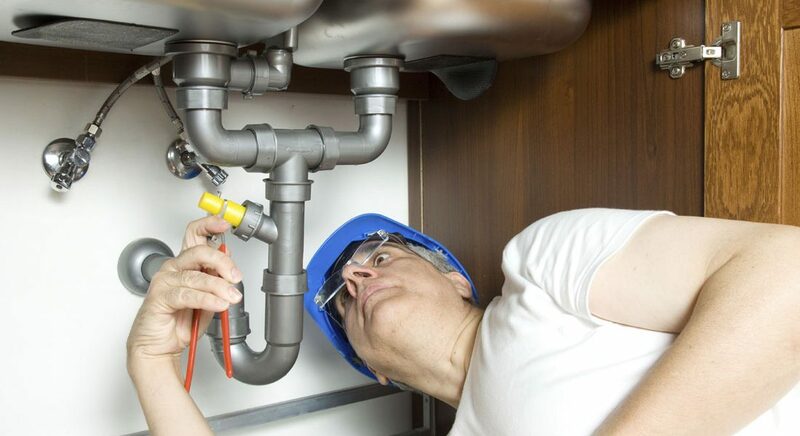 Plumbing problems seem to occur at the most inconvenient times — because the most inconvenient times are generally during seasons or events that put stress on your pipes. Seasonal shifts, whether related to festivities, winter temperatures or travel, have the power to push your plumbing to the brink. 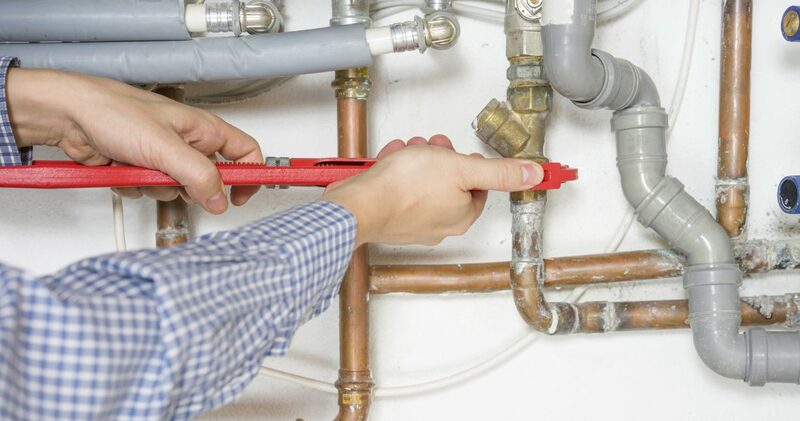 Follow these steps to winterize your home plumbing before the cold sets in. All industries have their health risks. The same holds true for plumbers. Every day we come in contact with chemicals and other hazards that can be a detriment to our health. Education and training is key in maintaining a safe work environment for you and your loyal staff. 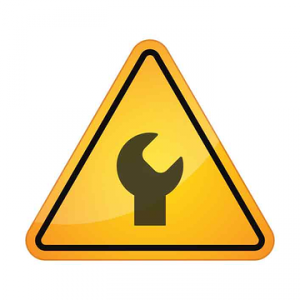 Let’s go over some plumbing safety risks that you or your staff may come across every day. One of the first things you need to watch out for in plumbing safety are hazardous chemicals. Asbestos and lead are some of the most common plumbing safety risks you may come in contact with. Here’s why. Many older homes built before the 1970’s commonly have asbestos and lead in the building materials used at the time making asbestos and lead a serious plumbing safety concern. Asbestos and lead can cause serious health problems such as respiratory infections and cancer. Taking the proper precautions can alleviate some of the plumbing safety risk. Wearing proper gloves, eye goggles, and breathing masks are part of dealing with these dangerous chemical hazards. Make sure you and your team is well trained to handle these hazards. Plumbers may come in contact with areas that also have electrical connections. This poses a plumbing safety risk because water and electricity just don’t mix. The plumbing safety risk of electrical shock should be common sense but never the less requires certain precautions to be taken. Plumbers should use power tools with ground fault circuit interpreters. Always test exposed wires to see if they are live before starting work. In addition simply turning off the power in the vicinity you are working in can greatly reduce the plumbing safety risk of electrical shock. Again it boils down to proper training and safe practices. Mold grows really quickly and thrives in damp, warm areas. Leaks associated with plumbing fixtures is a common safe haven for mold; making mold a very common plumbing safety risk, not just for the plumber but the customer as well. Needless to say plumbers will probably encounter this plumbing safety risk on a daily basis. Wearing proper protective gear like gloves, long pants, long sleeves, goggles, and a respirator mask are very important. In addition make sure the area is properly ventilated if using chemicals such as bleach to aid in the cleaning process. As plumbers you spend a lot of time in cramped areas, bending over, lifting heavy materials, and working with your hands. All of these repetitive motions can create a plumbing safety concern if you are not taking care of yourself. Some main areas of concern are: back problems, knee problems, and carpel tunnel. Ensure that you and your team are lifting properly, using proper tools for comfort such as back braces and knee pads, taking breaks periodically, and stretching. These simple practices can help alleviate some of the plumbing safety risks associated with plumbing physical strains. As a plumber you work very hard in the field every day. It is important to guard your health and the health of your team by avoiding and alleviating some to the plumbing safety risks of the industry. Prevention is key to avoiding almost all plumbing disasters down the line. Just as going to the dentist ensures the life of your teeth, so does maintaining the health of your pipes, drains, sinks, etc. Most likely you haven’t thought about these things in a while – all the more reason to perform a status check. It doesn’t take much to see how your fixtures and infrastructure is doing. You undoubtedly notice if your main bathroom or kitchen sink isn’t draining, but what about the guest bathroom? When’s the last time you looked in on it? Similarly, if you haven’t had your water heater flushed in over a year, it’s time to clean it out. Otherwise, debris can build up and force you to replace the appliance earlier than you’d like. Procrastination is a common theme in New Year’s resolutions. 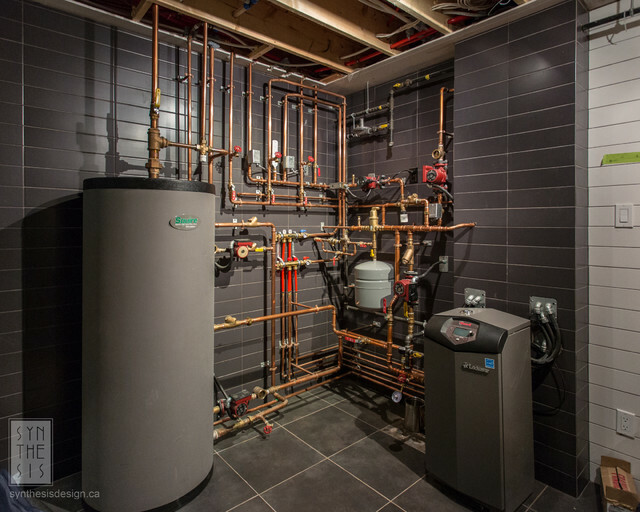 No matter the area of your life, vowing to be more productive and do away with procrastination is always a noble goal; the same idea can be applied to your plumbing. Usually if a sink drips or a dishwasher fails to work as efficiently as it should, we let it slide for as long as possible. However, we’re actually wasting money by doing this. That’s right, procrastination doesn’t just hurt the performance of appliances, it actually drains your bank account as well. If your plumbing isn’t living up to its potential, don’t wait. 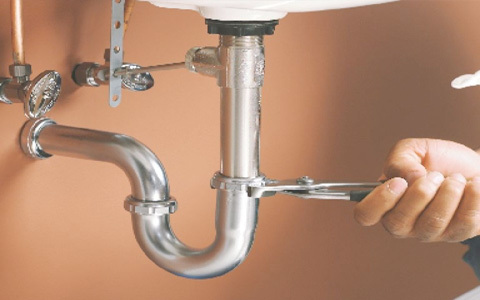 Contact the most skilled plumbers in New Jersey. Green Apple Plumbing can tackle just about any plumbing problem, urgent or not. Our team of technicians will service your home quickly, so you can meet your anti-procrastination policy. Don’t Let A Plumbing Emergency Ruin Your Christmas. With family gathering to celebrate the holidays this Christmas, consumers may find their plumbing systems are not up to the task of entertaining. In addition to clogged toilets and drains, all that rich holiday food sometimes chokes garbage disposals and causes build up in kitchen pipes. Finding a plumber willing to cut their holiday short to assist you might prove difficult, and you can expect to pay a premium for the service. However, there may also be less than stellar businesses and scammers out there waiting to take advantage of an already stressful situation. In 2015, Better Business Bureau received more than 4,100 complaints against plumbers. Most complaints alleged that the actual cost greatly exceeded the estimate or work was not done properly. Some consumers alleged that the plumber they hired caused additional damages while performing the work. Many said they had trouble getting someone to repair the work or refund the cost of the work. Do your research. View the company’s BBB Business Review to see its accreditation status, the length of time the plumber has been in business, its complaint resolution efforts and any past advertising concerns BBB may have found. Check licensing and insurance. Ask for the Responsible Master Plumber’s name and license number. Master Plumber license numbers begin with the letter “M”. License numbers which begin with “A”, “T”, “J” or any other letter are not Master Plumber license numbers. Understand the price up-front. Determine whether you will be billed hourly or a flat rate for the job, exactly what work will be performed, how the plumber will contact you if further work is needed and acceptable payment methods. While running a lemon rind through the disposal may make your drain smell better, it won’t actually get it clean. To disinfect your garbage disposal, you will need to use a cleaning solution that includes a mild soap and warm water. Before you attempt to use it, however, make sure you disconnect the disposal from its power source. Spray the cleaning solution into the disposal, give it a few minutes to work, and then use a cleaning brush to scrub the disposal itself. Although it’s rare to have sub-freezing temperatures in the Los Angeles area, your home’s pipes should still be insulated to prevent heat loss, especially those connected to the water heater. Use foam insulation on any pipes that are exposed to the weather or routed through uninsulated areas. If freezing temperatures are expected, make sure pipe insulation is in good condition, disconnect outdoor hoses and drain any outdoor lines, if possible. As the temperatures become colder at night, oils and fats that are washed down the drain may start to congeal, leading to a clog. To prevent clogs, minimize the amount of fats and oils that are allowed to go down the drain, and rinse the garbage disposal with cold water for 30 seconds before and after each use. To unclog the drain, use a plunger, a snake, a mixture of baking soda and vinegar, or open the trap, if accessible. Leaves and other debris that are washed into the gutter can prevent the system from draining, especially if the temperature becomes cold enough to form ice. When the gutter is clogged, the water may back up and start leaking into undesirable areas, such as behind the siding, causing water damage. Have gutters cleaned as often as necessary, and consider installing gutter guards that prevent debris from accumulating. If you’re taking a trip during the winter, make sure all the pipes are well-insulated, leave the thermostat at a minimum of 50 degrees and have a friend or neighbor check on your home often. 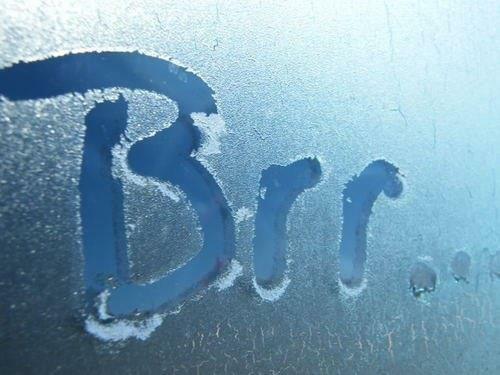 The cold winter months can wreak havoc on your home’s plumbing system if you aren’t prepared for the temperature drop. Frozen water in pipes can be inconvenient at best and destructive at worst. 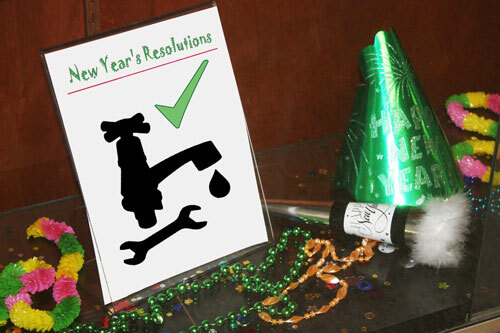 As a good preventive measure get ready for winter with this winterize plumbing checklist. Even the smallest water leak can turn into a big problem when temperatures drop. Take the time to check all exposed pipes indoors and out for leaks. If you wait for the water to freeze the damage to surrounding pipes is likely to be more significant. If your pipes are insulated feel for moisture that might have been soaked up by the insulation if there is a hidden leak. A basic preventive measure you can take is to make sure that any exposed pipes are well insulated. To locate exposed pipes look in your attic, crawl space, and garage. If you can see the pipe it needs to be wrapped with insulation foam. Pipe wrap insulation is inexpensive and easy to install and it can save you on heating costs as well as keeping your pipes protected. An evaporative cooler, also known as a swamp cooler, is another source of water that needs to be drained before winter. To winterize your swamp cooler turn off the water and power to the unit first. Drain the water out of the cooler and the water supply line to the unit as well. This is a good time to clean the interior and change the pads. Finally, cover the swamp cooler with a cover or tarp to keep it dry over the winter months. Prevention and planning are key for a smooth winter season when your water comes from a well. Proper insulation of the pump houses can keep pipes from freezing. For added protection it is important to insulate any exposed pipes in the pump house. A heat source is also needed to keep the temperature of the pump house above freezing. Protecting the hose bibs and pipes from the cold is very important. Start by removing any garden hoses that may be connected to outdoor faucets. By removing garden hoses you ensure that water doesn’t stay trapped in the hose bib where it can freeze and damage pipes. Drain any water the hoses may have in them before storing. Protect garden hoses by storing them in the garage or shed during winter. To protect hose bibs from the cold you can drain collected water and insulate them. In places where temperatures drop significantly every winter many homes have dedicated shut off valves for outdoor hose bibs or faucets. If you happen to have a shut off valve you can turn the water to the hose bibs off. You will then need to drain any water that is already in the pipes. This can be done by opening the hose bibs and letting the water drain completely. If you don’t have a shut off valve you can protect hose bibs and outdoor faucets by insulating them with hose bib covers. Hose bib covers are inexpensive and easy to install. The insulation that these foam covers provide will keep the hose bibs from freezing. The pipes of your irrigation system are a likely place for water to collect and then freeze in cold weather. To winterize your sprinkler system turn off the water and flush out any collected water by turning on each valve. The arrival of the winter season and cold weather invite a multitude of potential plumbing problems into our homes. Frigid morning showers, frozen or cracked pipes, broken radiators, flooding, and leaks are just a few of the many unwanted plumbing issues brought on by cold winter weather. Preventing Clogged Drains: Once a week, treat your sink and bathtub drains to this quick, safe and environmentally-friendly cleaning process. Make up a mixture of 1 cup of salt, 1 cup of baking soda, and 1/4 cup cream of tartar. 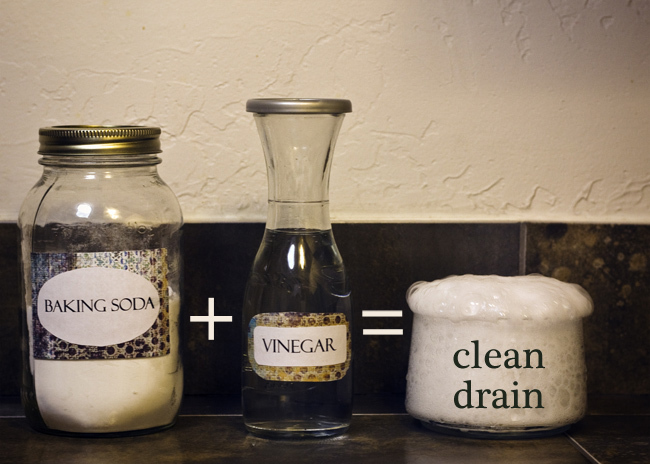 Pour equal amounts into your various drains and follow it with 2 cups of boiling water for each drain. Pipe Insulation: Use foam padding sleeves or special insulating tape to guard your pipes (both hot water and cold water) against freezing. Any exposed pipe or plumbing fixtures should be kept warm with space heaters (lamps) from a safe distance. Every few days, check out pipes in basements or little used areas of the house to make sure no ice or frost is accumulating or cracks developing. Running Water: Be sure to run water from every valve in your house at regular intervals throughout the winter. This will prevent freezing. Don’t Forget Outdoor Spigots and Hoses: Unattach your garden hoses before freezing temperatures arrive in the fall. Close the shut-off valve on the pipes which lead to your outdoor spigots. Drain any residual water from spigots or hoses. Don’t leave hoses attached to outdoor faucets over the winter; roll up and store till spring. Be Careful with Holiday Cooking: Cooking grease and oils put a real strain on drains, pipes and garbage disposals. Grease and oil are more likely to collect and clog when your plumbing is colder, so do your best not pour down the drain. Also, refrain from putting hard to grind objects or stringy substances down into the disposal. Always run cold water through the disposal for at least 15 seconds before and after each use. Be sure to turn the disposal on before filling it with food debris. Spread Showers Throughout the Day: At least 10 minute intervals between showers is optimal to maintain hot water and proper pressure. You may also want to turn up the water heater during the cold season as well; to prevent burns, do not put it above 125 degrees Fahrenheit. Eliminate Drafts: Check around your home for areas where water supply lines are located in unheated areas and take measures to prevent the flow of cold air in these areas. Examples: basements, crawl spaces, attics, garages, and under kitchen and bathroom cabinets. Both hot and cold water pipes in these areas should be insulated. A hot water supply line can freeze just as a cold water supply line can freeze if water is not running through the pipe and the water temperature becomes cold. Leave the cabinet doors under the faucets open so that they can get more heat. If it gets intensely cold, run a little bit of water from each valve in the house each day. Let the water trickle very slowly into the sink. Heat every room of your home, not just a few rooms. Allow warm air to circulate freely throughout your house. Turn off the water at the main shut-off valve so that you don’t have problems as the ice melts. Leave the faucets on to relieve pressure as the ice melts. Use a blow dryer or heat gun to thaw frozen pipes. DO NOT use any torches or open flames to thaw pipes.